Bits and Pieces.. of a happy life - pursuit. "There are many things in life that will catch your eye, but only a few will catch your heart...pursue those." 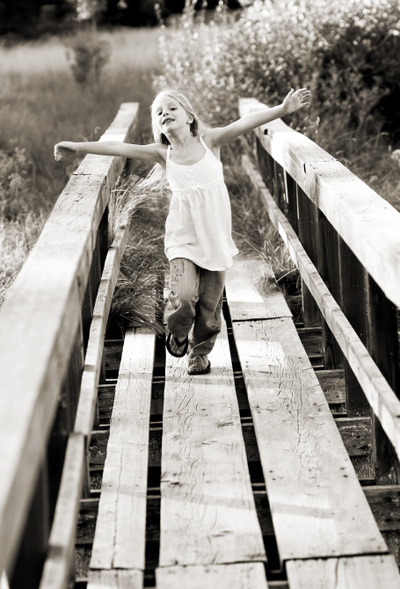 love this, bold girlish freedom, playfulness. ah, summer. She looks like she is running, embracing life. Gorgeous. How awesome to be a kid again. I remember those days of freedom and summer bliss. So gorgeous! I love your photography Erica..you inspire me. Beautiful photography, I have enjoyed my visit here!! love the picture of abby on flickr in front of the cabin...is that a hankerchief skirt? oh goodness it looks adorable! I love the feeling, this picture gives me...free spirit! Your photos are so beautiful! I especially love the sunset one with the kids. beautiful work! First - who is Michael Nolan? Second - I am so envious of you photos. My daughter is 15 and no longer appreciates having her picture taken by her mother. Enjoy it while you can!